We’re continuing our look at the life and work of native Richland Countian Stanley J. Morrow, who was born near Bellville in 1843 and who was trained by famed Civil War photographer Mathew Brady. Stanley Morrow’s studio in Yankton, Dakota Territory did well. So well, in fact, that Morrow soon opened a branch operation across the Missouri River in Nebraska. Still, he had a sense of adventure, perhaps cultivated in his Civil War experience. Over time, that sense led him to leave the family home and studio and travel westward; each time, he left his wife in charge of the local operation which continued to thrive. Over the next decade, Morrow became an important documenter of the American West, photographing Native Americans, forts, agencies, and military expeditions. 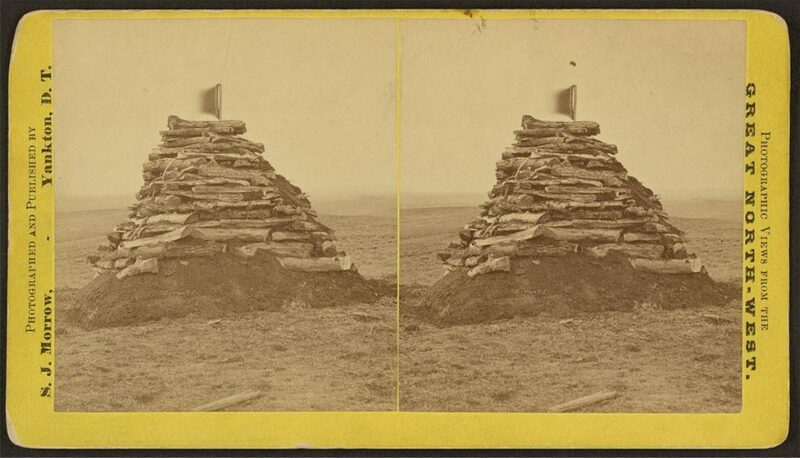 In at least two instances, he took photographs of important places in the “Sioux Wars” of the late nineteenth century. In 1876, Morrow was the official photographer for General George Crook’s infamous expedition after the June 1876 Battle of the Little Big Horn, in which General George Armstrong Custer and 267 of his men had been killed. Interestingly, Morrow was slated to accompany Custer on that expedition, but his photographic materials did not arrive in time for him to do so. He would undoubtedly have suffered the same fate as Custer and his troops. The Crook expedition was one of the most grueling in American military history, culminating in the important Battle of Slim Buttes, and was nicknamed the “Horsemeat March” because of the necessity of eating horses to survive. In late 1878 he was the photographer attached to an expedition of Captain George K. Sanderson, who was assigned to reach the site of the Battle of the Little Big Horn itself. There, Sanderson and his men were to collect all remaining human bones and to secure them within a cone or pyramid of stones as an initial grave marker or monument. Morrow’s photographs are the primary record of that work; a photo taken by him of the original monument is below. 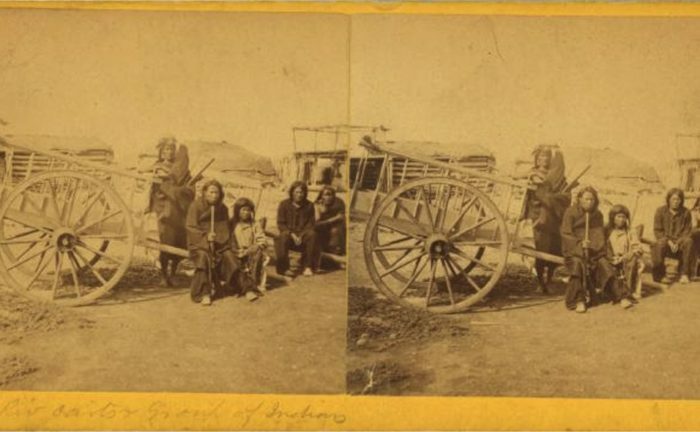 Other self-funded trips west to take photographs included opportunities to chronicle Native Americans, views of Fort Keogh and other military outposts, and scenic vistas of Montana and the Dakotas. The Morrows left Yankton in 1883 and moved to Florida for Mrs. Morrow’s health, where Stanley continued to photograph until his 1921 death in Dallas, Texas. His original negatives had been lost in a fire, but Morrow retained many prints which remain today. Important collections of Stanley J. Morrow photographs reside at the J. Paul Getty Museum; the University of South Dakota in Vermillion, the Montana Historical Society, the State Archives of Florida, and The Metropolitan Museum of Art in New York City. Click here to view several of his important Native American photographs.